LA is awash in superior cruller crafters, yet a bold gang of newcomers has arrived touting artisanal ingredients and wacky combos (ham and egg?). 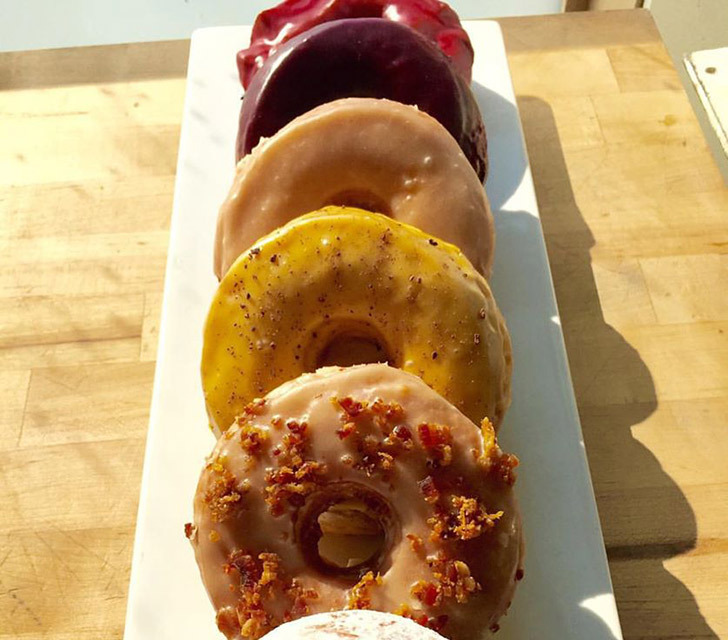 Venice’s BLUE STAR DONUTS, a Portland import, manages to go modern without sacrificing the simple pleasures of fried dough. Chic flavors like house-made horchata and bourbon blueberry are bold but not gimmicky, and the brioche base has a classic yeasty kick.